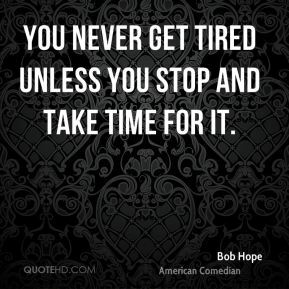 You never get tired unless you stop and take time for it. 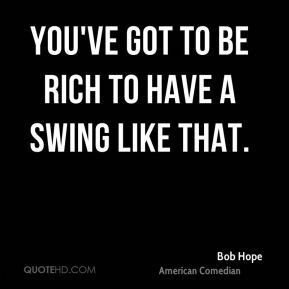 You've got to be rich to have a swing like that. 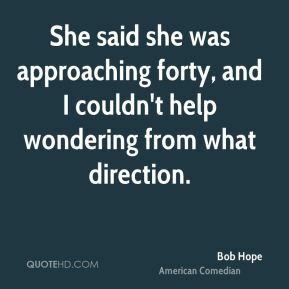 She said she was approaching forty, and I couldn't help wondering from what direction. 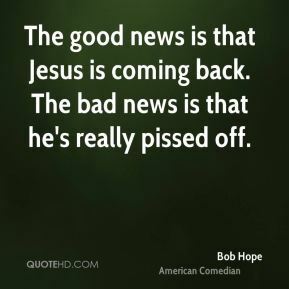 The good news is that Jesus is coming back. The bad news is that he's really pissed off. 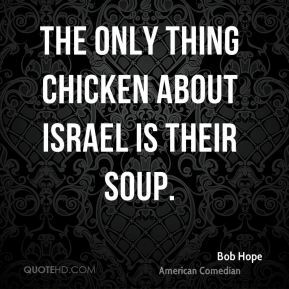 The only thing chicken about Israel is their soup. 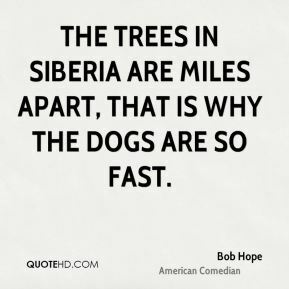 The trees in Siberia are miles apart, that is why the dogs are so fast. 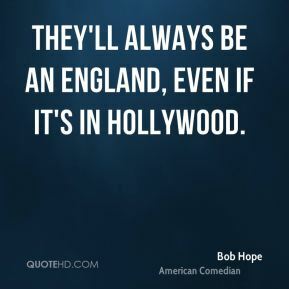 They'll always be an England, even if it's in Hollywood. 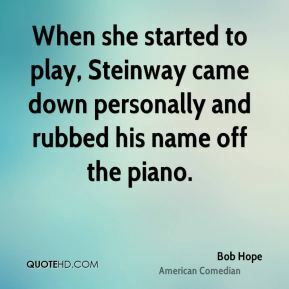 When she started to play, Steinway came down personally and rubbed his name off the piano. 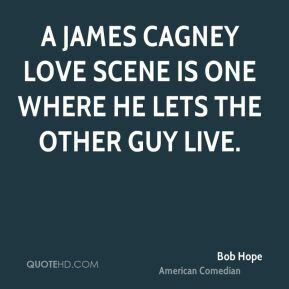 When they asked Jack Benny to do something for the Actor's Orphanage - he shot both his parents and moved in. 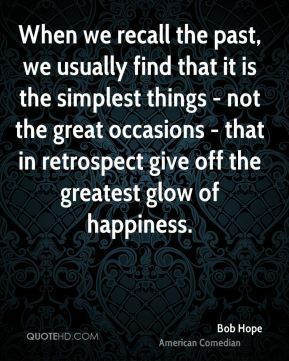 When we recall the past, we usually find that it is the simplest things - not the great occasions - that in retrospect give off the greatest glow of happiness. 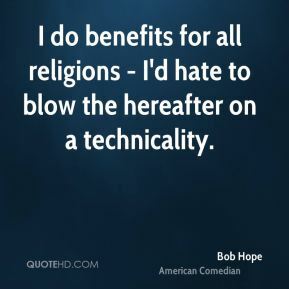 A sense of humor is good for you. 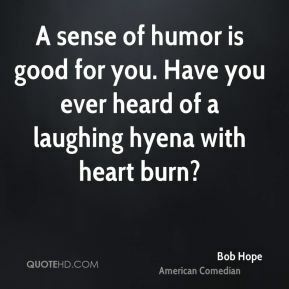 Have you ever heard of a laughing hyena with heart burn? 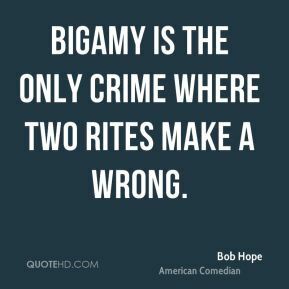 Bigamy is the only crime where two rites make a wrong. 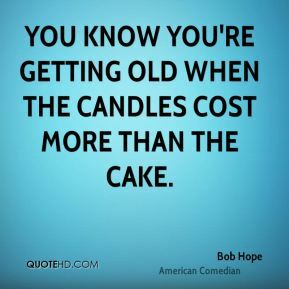 I don't feel old. I don't feel anything till noon. 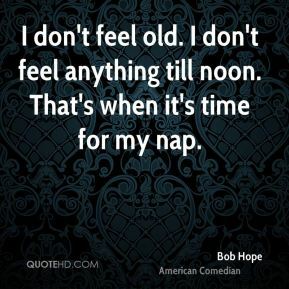 That's when it's time for my nap. I grew up with six brothers. 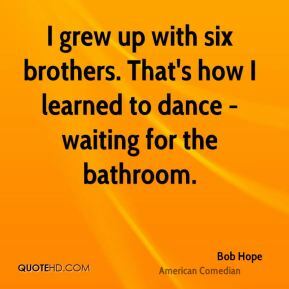 That's how I learned to dance - waiting for the bathroom. I have a wonderful make-up crew. 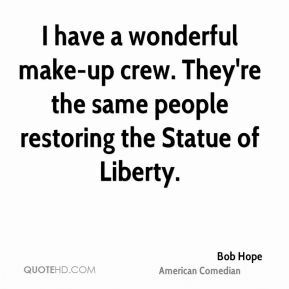 They're the same people restoring the Statue of Liberty. 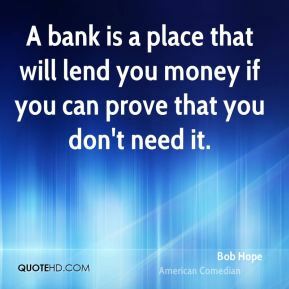 I have seen what a laugh can do. 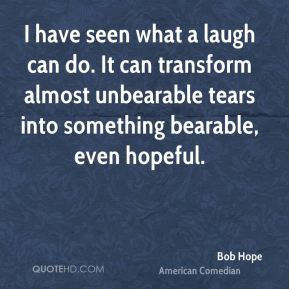 It can transform almost unbearable tears into something bearable, even hopeful. 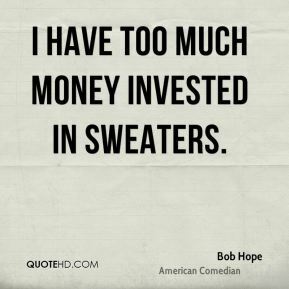 I have too much money invested in sweaters. 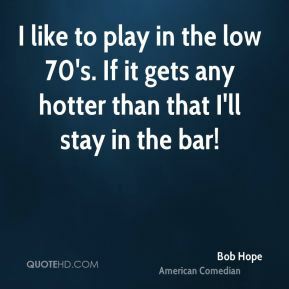 I like to play in the low 70's. If it gets any hotter than that I'll stay in the bar! 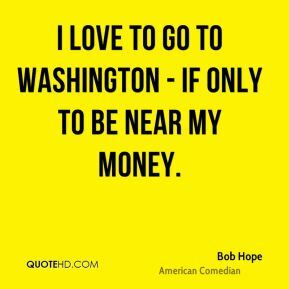 I love to go to Washington - if only to be near my money. 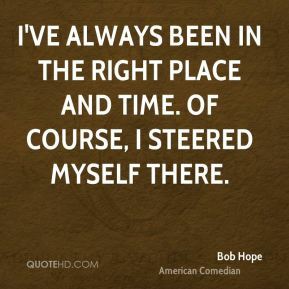 I've always been in the right place and time. 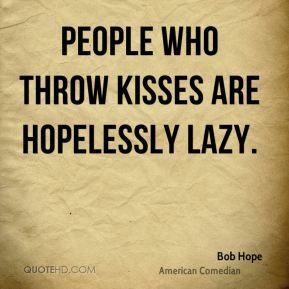 Of course, I steered myself there.